We need to work together to help conserve Canada’s marine animals. It is important that you know what to do when you come across a marine animal emergency. In order for the regional networks of CMARA to respond to these emergencies, we count on you, the public, to report any incidents. First heroes on the scene (people like you) are critical. We’re so grateful when you or other responders call, that we created The Watch. Knowing what to look for and what to do if you come across a marine animal emergency will make a big difference to marine animal conservation in Canada. The Watch has all the information you need to know in a marine animal emergency. Sign up for free and download The Watch 5 Steps and Identification Guide. Watch our video, quiz your knowledge and learn more about marine animals. We’re hoping that you’ll want to take action that will help your local coastal environment but also the amazing species that spend time in Canadian waters and internationally. 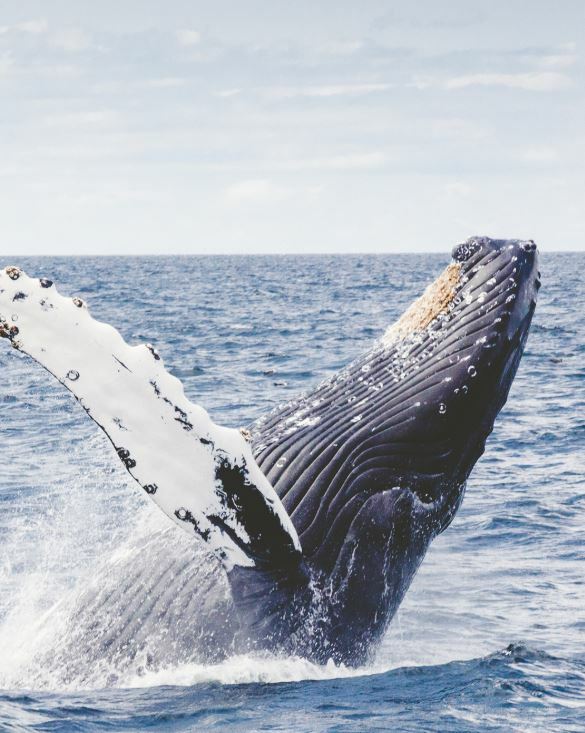 Win a whale watching trip for two! Thank you for entering the whale watching contest! This contest is now closed. We will announce the winner shortly. Read the rules & regs. If you come across what you think could be a marine animal emergency, follow these five steps to report the incident and start a response. Officially join The Watch! Sign up below and download the free 5 step guide and identification chart so you are always prepared in case of a marine animal emergency. Fold the printed PDF perfectly for your wallet or download for your device. Yes. I would like to receive emails from CMARA. Yes, I would like to receive a monthly “Wildlife Update” from the Canadian Wildlife Federation. I know I can opt-out at any time. A marine animal emergency could be an animal in distress, an injured animal, or a dead animal. If you come across what you think could be a marine animal emergency, follow these five steps to report the incident and start a response. Is the animal moving? Is its blowhole opening and closing? Are its nostrils moving or can you feel breath coming from them? What kind of marine animal is it? Consult the ID guide if necessary. What is your location (GPS coordinates)? What is the date and time of the incident? How many animals are involved? Describe the condition of the animal (whether it is alive or dead, its behavior, if it has any injuries, etc.). Take photographs from multiple angles (full body shot, head, dorsal fin, tail, injuries or human interactions). You may be asked to stay with the animal until the response team arrives, or record more information or perform other tasks. Remember: Do not touch the marine animal and maintain your distance. This is for your safety and the safety of the animal. Wild animals in distress are more unpredictable, and incorrectly executed responses can further injury and distress an animal. The guide below can help you identify some important information regarding the animal involved in the emergency that you can communicate to the response network. You may not be able to confirm all of these characteristics, depending on the position of the animal and the species. Marine Animal Response in Canada — How does it work? In the event of a marine animal emergency, there are four regional networks in Canada that respond to these incidents based on location. The four regional response networks within CMARA span both the Pacific and Atlantic coasts, and are made up of many organizations, including non-governmental organizations, volunteers and government agencies, within their regions. The networks are a collection of organizations comprised of specially trained and authorized individuals that can respond to marine animal emergencies in specific regions of Canada. What is a marine animal response? A marine animal response is warranted when an animal is in distress, whether it is has suffered an injury, has stranded on a beach, become entangled in fishing gear or has been found dead. A response to a marine animal emergency can range from a simple investigation by a trained observer to a hands-on interaction by trained individuals with appropriate specialized training. In certain circumstances, experts will find that the animal can address their situation without human assistance, and at other times the most humane course of action is to let nature take its course. The response to a marine animal incident or emergency may consist of some or all of these three elements: Rescue, Research and Outreach. 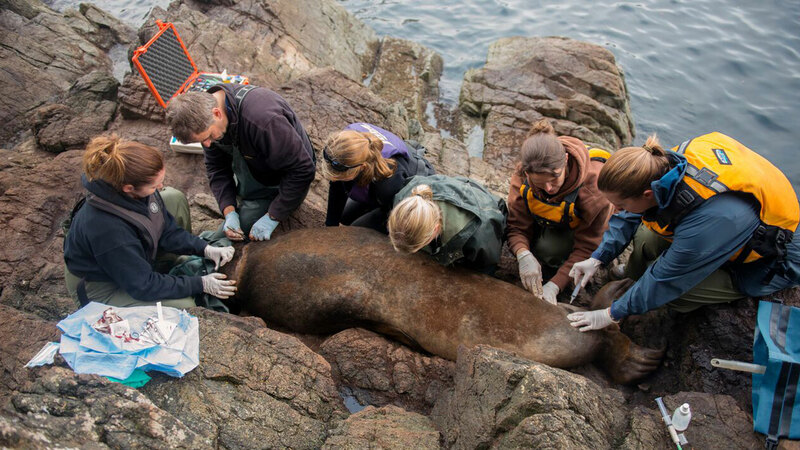 Being able to identify the type of animal in distress can help marine animal responders properly prepare for the response. This information can also help you know how to spot wildlife and know what species you are looking at when you are on the coast! Marine animals can become distressed or die from natural causes, but they can also die due to human activities. The work of regional response networks contribute to documenting and understanding the threats to marine animals from human activity that can help prevent and mitigate future emergencies.